How to get a CSCS Green Card? How to get a Red CPCS Card? How to get a Blue CPCS Card? These changes are being made to make the test even more robust so that operatives can continue to be safe on the job and to know that their fellow workers are just as qualified to contribute to a safe working environment. There have been many changes and updates within the construction industry over the past 12 months, with many more changes on the way. From the new CPCS A77 category to the new LEVY rates and CITB ATO Status, please take a look at our news page and see if any of the changes affect you or your company. When it comes to NVQ's, CITP Ltd hold direct claims status which means we can achieve your NVQ without waiting for the awarding body to sign this off. This means the wait for your card is reduced considerably from that of a company without DCS (Direct Claims Status). We also guarantee to beat any like for like quote, providing you are able to supply any other quote on request. **L6 SITE MANAGERS NVQ'S ARE NOW ONLY £1600.00+VAT & L7 SENIOR SITE MANAGERS NVQ'S ONLY £1800.00+VAT PP! TAKE ADVANTAGE OF THESE OFFERS AND CONTACT US ON 01189 700200. *These offers exclude any funded NVQ's. 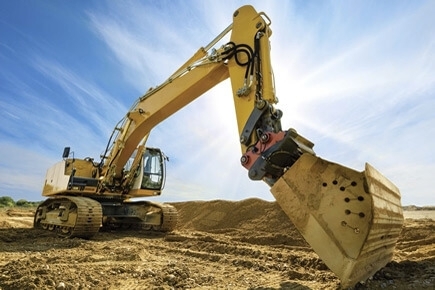 CONSTRUCTION INDUSTRY TRAINING PROVIDERS LTD ARE PLEASED TO BE ABLE TO OFFER A VERY COMPREHENSIVE RANGE OF TRAINING AND ASSESSMENTS FOR CONSTRUCTION AND CONSTRUCTION ALLIED INDUSTRIES. We offer anything from basic ‘in-house’ training, endorsed by CITP, to the nationally recognised and fully accredited NPORS (National Plant Operators’ Registration Scheme), and CPCS (Construction Plant Competence Scheme). CITP also cover a wide range of Health & Safety training, both off-the-shelf and bespoke, to include the CITB accredited ‘Site Safety Plus’ suite of courses. These include the HSA Health & Safety Awareness (now used to gain the Green ‘Labourer’ CSCS card), the SSSTS (Site Supervisors’ Safety Training Scheme), SMSTS (Site Managers’ Safety Training Scheme) along with the very specialist TWSTC & TWCTC Temporary Works Supervision and Co-Ordinator’s courses. We are also accredited to deliver the CITB ‘Achieving Behavioural Change’, and ‘The Director’s Role for Health & Safety’. In addition to the above we have a CSCS touch-screen-test centre, and are an accredited provider of Cskills NVQ assessments which we’ve the resources to deliver nationally. The Cskills NVQ’s we offer, once achieved, act as evidence of occupational competence within the construction industry; be it in a specific job role or on an item of plant machinery. These NVQ assessments will all count towards the nationally recognised CSCS (Construction Skills Certification Scheme) & CPCS (Construction Plant Competence Scheme) cards required by your staff, we’ll even apply for the required card on your behalf. With the capability to deliver the full suite of City & Guilds confined space and New Roads & Streetworks qualifications, at our dedicated training center, CITP are truly leading the way within the construction and construction related Industries. The vast majority of the training and assessments we offer can be delivered either on-site, at your own venue, or at one of our purpose-built training facilities. CITP may even have the ability to deliver any form of CPCS plant training and testing on your site, at your convenience - albeit as standard the majority of testing is typically restricted to accredited centres. Simply speak to a member of our team for further information. We have three training centres based around 30 minutes west of the M25, and additionally have access to third party training venues right across the UK for the likes of New Roads & Street Works, Confined Spaces, Working at Heights, NPORS or CPCS plant operations, including any of the Site Safety Plus suite of courses. These three construction training centres enables all businesses and people looking to develop their abilities in the construction industry further without the worry of extensive travel. 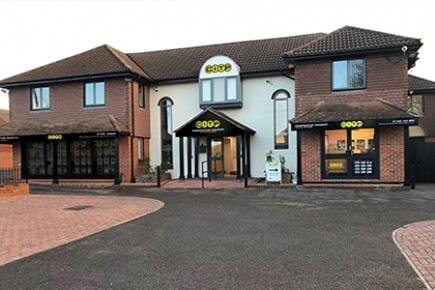 Our head office is based on Mulfords Hill, Tadley, Basingstoke. This is situated between the M3/M4 corridor, being only 6 miles off Junction 11 and only 8 miles from junction 12 of the M4. From Basingstoke, it is 7 miles from junction 6 of the M3. Our plant and construction training centre is based in Aldermaston, Reading and our second training centre is based in Padworth common, Reading. Again, both are situated between the M3/M4 corridor. We also have the capability to deliver IPAF Powered Access (MEWP - Scissor and/or Boom), PASMA Mobile Scaffolding and Forklift Counterbalance/Side-Loader here. Our plant and construction centre based near Aldermaston is easily accessible from surrounding areas, such as the A34 Newbury and as stated, is situated only 7 miles from junction 6 of the M3, Basingstoke - this is where we hold the majority of our plant and lifting operations courses, given that it’s the much larger training facility. This site has enough training ground to enable us to train and test comfortably, on a number of categories simultaneously. This training facility includes W/C and shower amenities, 7 classrooms and a sizeable canteen and a candidate waiting area. Across our three training centres we have a total of 13 classrooms, 3 canteen/dining facilities with refreshments readily available, good parking provision and of course a highly friendly, welcoming training environment. We have various Items of plant situated at our centres, including excavators, forward tipping dumpers, ride on rollers, MEWPS (scissor and boom), telescopic handlers, counterbalance forklifts, various forms of cranage, along with our mobile access towers and our forklift racking system. Here at CITP Construction Industry Training Providers, we pride ourselves on our level of service and are passionate about our ability to offer our client base nationally accredited training that’s of real benefit; both to the candidate, and of course to the employer. As we grow we’ll continue to work closely with the UKCG ‘United Kingdom Contractors Group’ and MHBG ‘Major Housebuilding Group’, who of course are the driving force behind the nationally accredited training and assessments we offer. All of our team are customer focused and forward-thinking, they receive the very best in construction training & development and given this, CITP have the ability to work as an extension of your training division - trusted advice, at every step. We ensure you are given the knowledge and skills to work at your best in the construction industry; no matter the field or department. Be it to go into a management role or learning health and safety procedures; we offer a full range of CPCS training courses, along with many others, that give you the experience you need. Additionally, we employ highly professional, personable, time-served tutors who pride themselves on giving their candidates the highest quality of training… We really do have a reputation to be proud of. Although CITP are driven by quality, we strive to remain among the most competitively priced within the industry, additionally taking control of any CITB grant applications where required to ensure we’re minimising your cost, and even maximising your profitability where possible. We’ll simply need your company CITB Levy number at point of booking. We work closely with our clients, ensuring the best and most effective results are achieved, but also to a timescale suited to both the client and candidate. Our administration function is streamlined and efficient; certification and cards are issued the day we receive them. We also offer a collection and drop off service for candidates from the local train and bus stations, and all of our training centres have hotels and B&B’s within the vicinity. Our aim is to give you one less thing to worry about, providing your training team with whatever information they need, quickly and accurately. We are proud to be able to offer our clients complete flexibility to meet their needs. We would welcome the opportunity to talk to you in more detail about our offering, the benefits of choosing CITP, your needs as a business, and additionally what CITP can do to assist in the streamlining of your training requirements. Our quarterly newsletter will provide you with the latest news within the industry & offers we have running here at CITP Ltd. If you're looking for construction training services from professionals that have been working in the industry for many years, get in contact with us today. 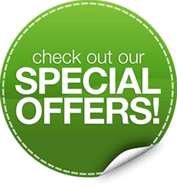 View our current special offers on our scheduled courses page. 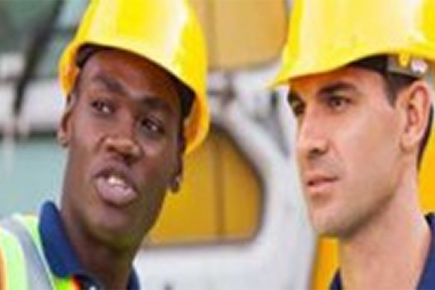 Click to view our range of Health & Safety Training Courses. We all know how important Health & Safety is, so please feel free to contact us for prices on the courses you may require. We offer machine and operator hire services to those that require specific types of machinery or specific tasks for construction projects. Contact us to find out more. Click the PDF download links below. The Construction Skills Certification Scheme (CSCS) stands alone as the truly essential card accreditation scheme for all construction industry operatives. Covering all aspects of on-site health and safety, best practice and providing official proof of these abilities, the CSCS card is both indispensable and comprehensive. We provide unrivalled management training provision to clients of all sectors, equipping them to organise and supervise their workforce even more efficiently and safelty. The SSSTS course and SMSTS training schemes we deliver equip supervisors and managers respectively with the very best expertise in the construction industry. Please visit our dedicated management training page to find out more.